This adjustable standing desk solution moves from a sitting to a standing position whenever you want. Customize with accessories to fit individual user’s needs and workflow. Features 20 inches (51 cm) of vertical motion—patented CF technology allows instantaneous height adjustment (video) while you work! Integrated brake secures table in place and with just a touch releases for height adjustment. 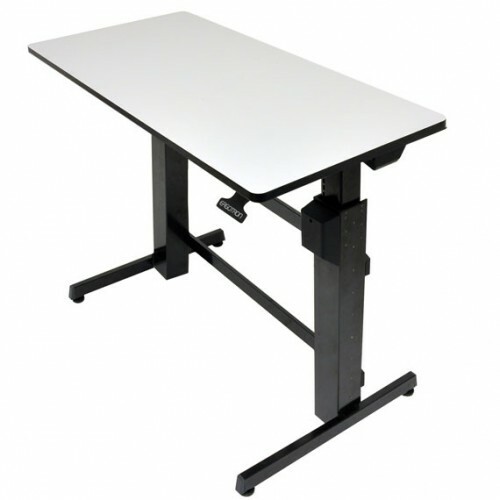 Features a spacious 47.6" x 23.5" (121 cm x 60 cm) worksurface.